In a world where the lives of animals are nearly always considered to be unimportant and disposable, it is almost miraculous that so many humans out there are beginning to say “no” to that concept, and do whatever they can to provide animals with the care and consideration that they need. Some of the lessons that animal sanctuaries can teach us include: we are not the only species on this Earth deserving of love and respect; other animals have thoughts, feelings, and desires of their own – which deserve to be acknowledged, even if we cannot fully understand them; and their right to life should supersede any “services” that we believe they should perform for us. The continued presence of these places, where threatened, neglected, or abused animals can live in peace, is vitally important. However, a significant number of these places are struggling to keep performing their incredible work. With this mind, we decided to profile a selection of awe-inspiring sanctuaries that are sadly hovering on the brink of closure, and provide more detail as to how you can help them. SanWild is an incredible organization which cares for big cats rescued from the canned hunting industry, in addition to combating illegal wildlife poaching, engaging in life-saving wildlife rehabilitation work, and operating a dedicated rhino sanctuary. 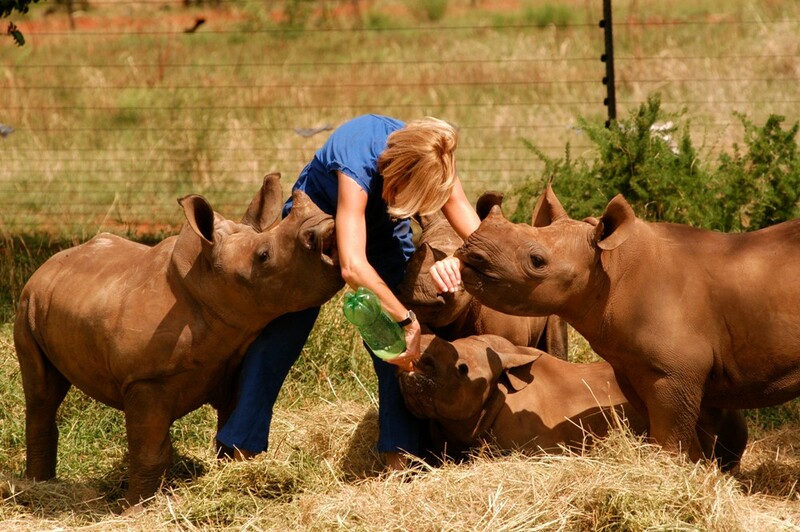 Founder Louise Joubert was inspired to establish SanWild after she became “increasingly empathetic to the animals caught up in South Africa’s wildlife industry,” and decided to dedicate the rest of her life to advocating on these animals’ behalf. Sadly, SanWild has been threatened by the prospect of closure on a number of occasions. Last year, Joubert warned that unless long-term sponsorship could be found, the “very harsh reality” of closure could be imminent. It has weathered many storms but is now struggling to cope once again after being hit by one of the worst droughts it has seen in many years. You can help SanWild at this critical time by making a donation through their website. The Lighthouse Farm Sanctuary – named in honor of a local beacon on Oregon’s Yaquina Head which has “guided those in need to protection and safe harbor” since 1872 – aims to “guide animals in need to the safety of calm waters.” Its residents include over 100 cows, goats, chickens, turkeys, pigs, llamas, rabbits, horses, and geese. In July, we reported on this organization’s efforts to tackle a crippling debt problem that has sadly been creeping up on them over time. Paula Fordham, Lighthouse treasurer, said of their financial situation, “I want the public to know that … we’re all committed to the sanctuary’s success. 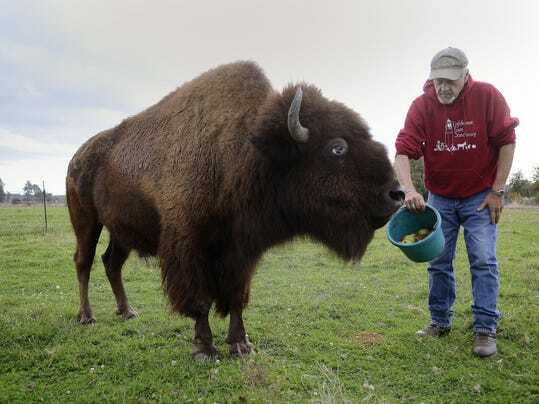 All of us have used our own money to pay for veterinary care for some of these animals.” The dedicated Lighthouse team have set up a YouCaring campaign page to help save the sanctuary, which has attracted $27,151 in donations at the time of writing. Their total fundraising goal is $325,000. You can also donate directly to their website, or apply to work as a volunteer. Future plans include the sponsoring of a mass trap-neuter-return program for the estimated 350,000 street dogs of Bogotà, along with various education and reconnection programs for schoolchildren to bring about a change in their perception of farm animals. Through their new Lunes Sin Carne website, they hope to start running vegan cooking classes and educate the public about the benefits of a plant-based diet. A YouCaring campaign page – called Help Pola the Pig to Save Colombia’s Only Animal Sanctuary, in reference to one of its adorable residents, Pola the Freedom-Fighting Pig – has currently raised $8,067 out of its $25,000 goal. A recent update to the page reminded all potential donors that “every dollar counts. Even $5 goes a long way in this country. We are getting closer and closer to our goal.” You can choose to donate to this trail-blazing organization through the YouCaring page or their website. Alternatively, why not become a member, or even volunteer? As you can tell, the Gaia team are not about to give up on the 260 animals who depend on their care without a fight. To help them with their goal of rebuild a new home, why not donate through their YouCaring page or their website? You can also apply to be a part-time or full-time volunteer. There is no doubt about it … attempting to run and finance an animal sanctuary, in a world where most people only value animals as commodities, can be incredibly difficult. As animal lovers, one of the most important things we can do for them is to raise awareness of their plight in any way that we can, and support all those who have the courage to speak out and work tirelessly on their behalf. Share this article to spread awareness of these awesome sanctuaries’ work, and be sure to support any other amazing rescue organizations whose mission is close to your heart!